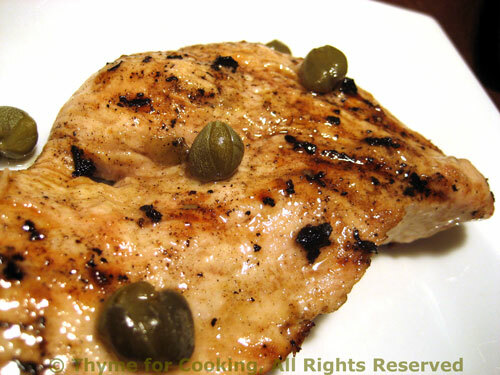 Grilled Turkey Cutlets Piccata; Supper? Dinner? Lunch? Living in other countries has taught me that, while there in an underlying humanism that binds us all together, it's the little things that can be so befuddling, particularly to the novice traveler! Something as simple as daily habits can leave people scratching there heads in bemusement, or, much worse, totally missing lunch or going to bed hungry because they don't know what time the locals eat. Most of the people that I know in the U.S. think 11:30 is a reasonable time for lunch. In Ireland that's time for 'elevenses': coffee and a sweet roll or biscuit. In Spain it's 'second breakfast': usually a small ham sandwich and a wine or beer. 'First breakfast' is coffee and a bit of bread around 8:00. If you try to eat lunch in France before 1:00 you'll have a bit of difficulty because most restaurants aren't open yet. But don't wait until after 2:15, they're already closed. Oh, and in the smaller towns all the shops close so the proprietors can go to lunch as well. Lunch in Spain doesn't start until 2:00 in the northern parts, closer to 3:00 in the south. And you might as well plan on a leisurely lunch because all of the shops, banks, businesses, etc. close there for 2 or 3 or 4 hours. After an 11:30 breakfast lunch Americans, or, at least, Midwesterners, are hungry by late afternoon and start thinking about dinner. Early bird specials start at 4:30. I'm barely through with lunch! In French farm country, where we live, dinner is about 7:00 (farmers are early risers, after all, usually up by 6:00 in the morning). In the cities, 8:00 is a more usual dinner hour, running to 10:30 in summer with the long evenings. And, if one eats so early, chances are one will be hungry and eat again later in the evening… Chips and dip anyone? Back in Spain, of course it's a wee bit later. If you want to eat at a decent, non-tourist restaurant in Madrid don't plan on a reservation before 11:30 (yes, that IS in the evening) and even at that hour you'll be the first ones there. The Madrileños will trickle in around 1:00, children in tow. First: one doesn't have to eat so damn much at dinner! Second: all the other mammals sleep after eating, why shouldn't humans? Do you think you know better than Mother Nature? Huh? DO YOU? And explain please, why my 'full stomach' of a bit of protein, some vegetables and whole grains, washed down with a glass of wine is worse than a full stomach of sugar and fat from that big bowl of ice cream eaten whilst watching the evening news….in bed? Try a later dinner of grilled turkey cutlets instead….. Put capers, lemon juice and oil in small bowl and whisk to combine – mixture will get very thick. Put turkey in a shallow dish and pour marinade over and let marinate for 15 minutes. Remove from marinade and cook on barbecue grill for 3 – 4 minutes per side depending on thickness – or until done. In addition to this, for the week of May 13 we have Grilled Salmon, Barbecued Sirloin Steak, Risotto with Veal and Asparagus, Pasta Salad with Sausage and Chickpeas, Brown Rice and Spinach Salad…. Join now and try it free for a week! Don't need complete dinners? 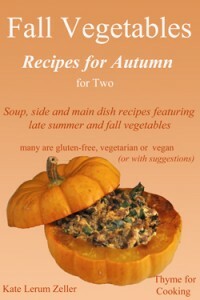 Try the Main Course Menu Mailer option: 6 new main courses every week – with suggestions for side dishes. This travelling information is very interesting. Not sure I could survive in Spain…although, would love to travel there! It just goes to show you how different cultures are, but you are so right, we all are connected by our “humanness”. I think Spanish hours would defeat me, both because I eat earlier and because I go to bed earlier. I’m usually a waste product by 10pm and the idea of doing dishes at midnight or 1am… oh, heavens! When my children were at secondary school they often had a 5 o’clock dinner. They would appear after extra sport or something and be starving !!! I gave them their meal then to stop huge afternoon snacks being consumed and dinner not being eaten when it was served at 7. Even as adults they still ask for it !!!! I don’t know how I would ever survive in Spain. As much as I would like to visit there some day, I think I would definitely be the ugly American. I am NOT a “night owl”. My eyelids start drooping at 10:00 and I have to be really really really having a good time to keep staying awake. I sleep until sunrise and once the sun is up, I’m usually fully awake and needing breakfast pronto! During my October trip to Paris last year I definitely just sort of ate when I was hungry and had time to do so. I spent so much time touring that lunches were squeezed in at crepe stands whenever I could get one in. As for dinner – well, I guess you can say that I waited till after dark. 😉 I went to Ireland back in ’03 and ate at very American mealtimes with no elevensies, but that was a riding tour. I’m hoping to go to Italy in the fall and that’s another riding tour, so we shall see what the food schedule is. You need a good breakfast on any riding tour because you need the energy. Chicken piccata (I usedthe Frugal Gourmet recipe) was one of the first non-dessert recipes I ever made. It’s still a classic in my recipe box and I do trot it out now and then. I use a bit of sherry in mine as well as some garlic and scallions. It’s a bit “saucier” to thanks to the additon of some chicken stock. Spain still has siestas – and the school kids come home for lunch on some days. I doubt I will ever get used to early dinners again. In Italy, the whole family adjusted easily to Italian Time.